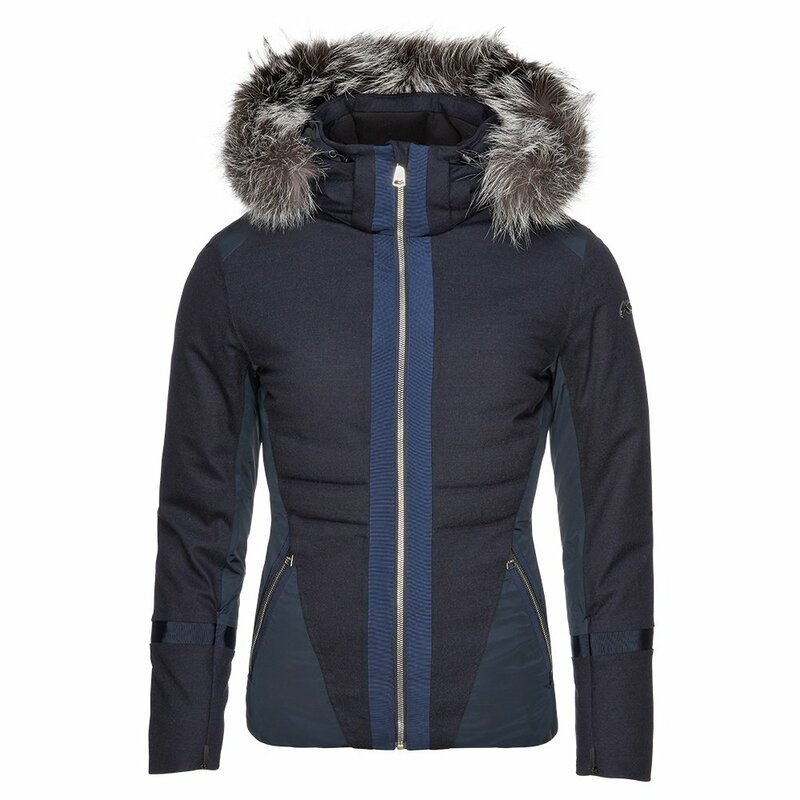 Stop the cold in its tracks with the Sella Jacket from KJUS. Thanks to a luxurious construction of exceedingly high-quality Loro Piana materials, this jacket is both completely waterproof and wind resistant. Incredibly soft fur detailing and stretch fabric combine for an always-flattering look. And whether you're in the city or on the slopes, the rich colors are sure to make a statement. With a removable powder skirt and down insulation, the KJUS Sella Jacket is a must-have piece for your winter collection. A fur hood and stretchable fabric combine into a slim, flattering fit. Loro Piana Storm System® technology ensures this luxury winter jacket is both waterproof and wind resistant. A removable powder skirt and down insulation make this a perfect choice slopeside or around town. "Does this jacket have a matching pant? " "The matching pant to this great jacket can be found here KJUS Naira Ski Pant ." ""Is the fur hood removable?" "
"Although the hood is attached on the KJUS Sella Insulated Ski Jacket, you CAN remove the fur trim. Hope this information helps!"